“There’s A Gold Mine” is not known to exist. The cast list for this show is pretty amazing: Robert Taylor (emcee), Clark Gable, Myrna Loy, Lionel Barrymore, Fanny Brice, and Frank Morgan. 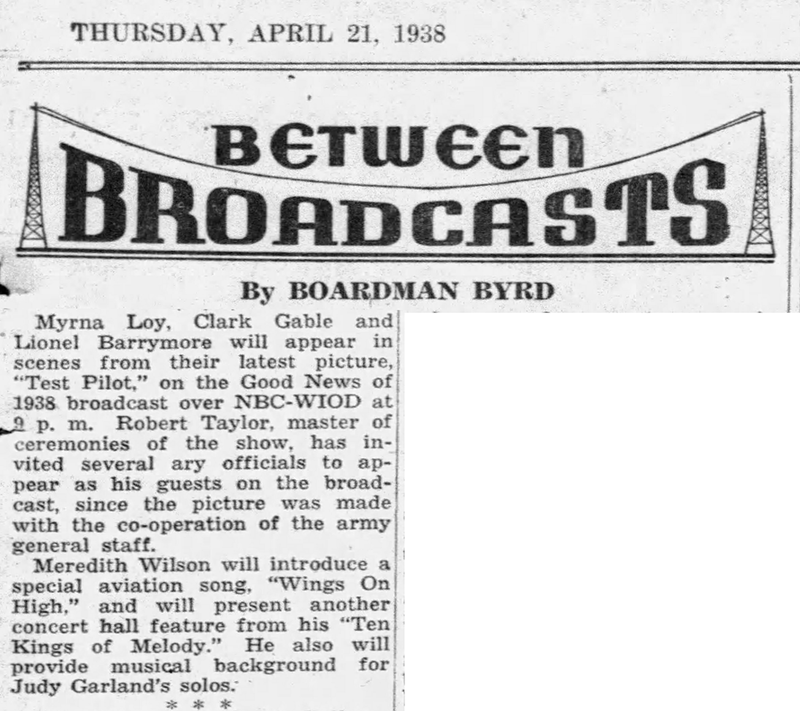 The appearance of Gable, Loy, and Barrymore could have been an audio clip of a scene from their latest film Test Pilot. 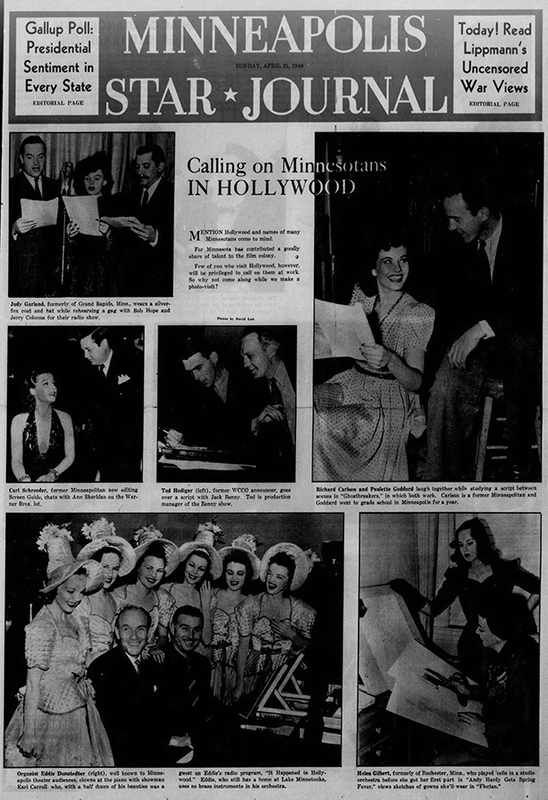 MGM released long-playing records for play on radio shows that featured scenes and songs from their films for local theaters to have their local radio stations use to promote the films. This could have been the case for this show. 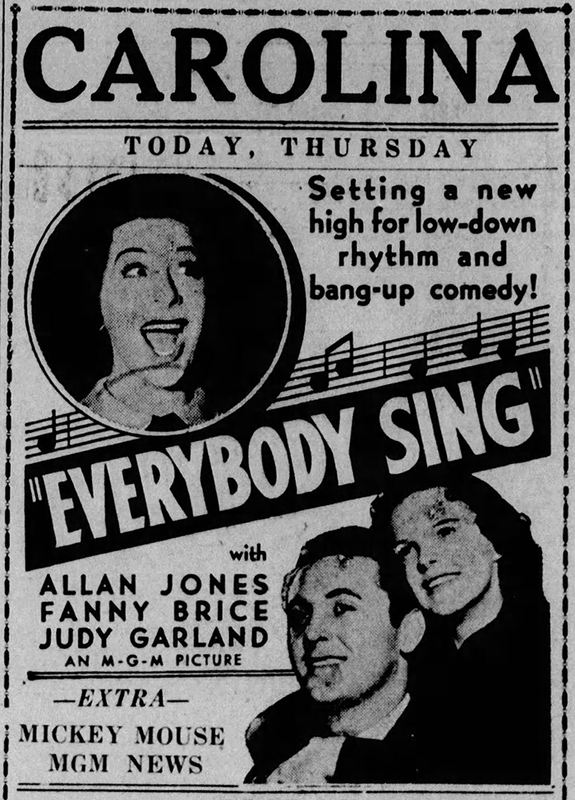 Also on April 21, 1938: Judy in the news! 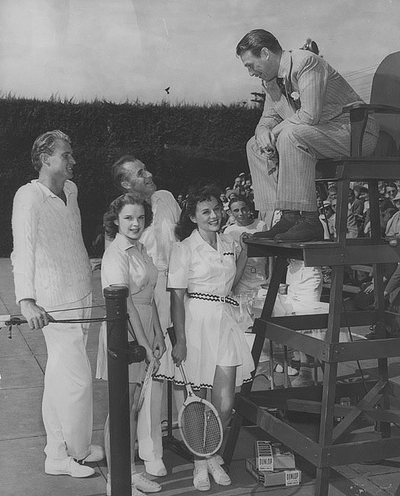 MGM was doing a great job of keeping Judy’s name in the public consciousness. 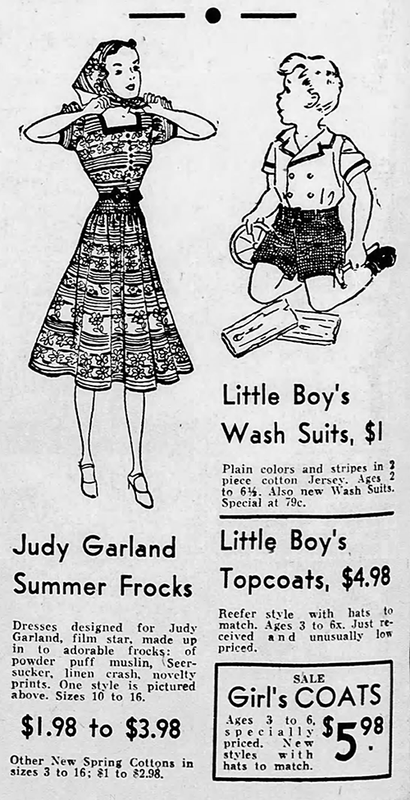 Published on this day: An article about Judy knowing the A, B, C’s of the stage and screen; ads for her latest hit film Everybody Sing; the “Judy Garland Dresses” that were instances of stores using Judy’s name (and teen image) to sell children/teen fashions. When romance broke up Judy Garland’s vaudeville act, she decided that she’d be a screen actress. And, without any help, the fourteen-year-old singer “sold herself to Metro-Goldwyn-Mayer executives and received a long term contract as a reward. 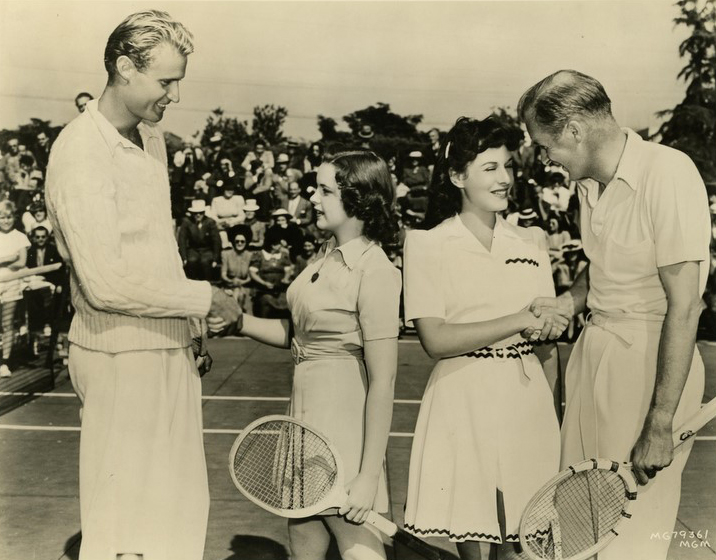 Judy and her sisters, Virginia and Suzanne, were known as the Garland sisters on the stage and when they appeared at the Chicago World’s Fair, Suanne married and left the act and that gave Judy her opportunity to go to Hollywood. 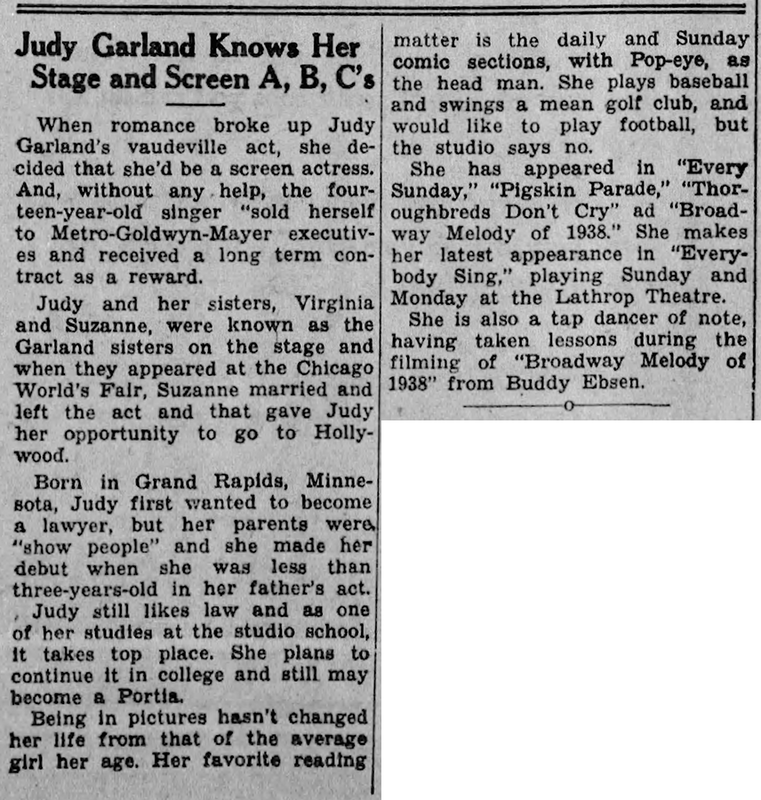 Born in Grand Rapids, Minnesota, Judy first wanted to become a lawyer, but her parents were “show people” and she made her debut when she was less than three-years-old in her father’s act. Judy still likes law and as one of her studies at the studio school, it takes top place. She plans to continue it in college and still may become a Portia. Being in pictures hasn’t changed her life from that of the average girl her age. Her favorite reading matter is the daily and Sunday comic sections, with Pop-eye, as the head man. She plays baseball and swings a mean golf club, and would like to play football, but the studio says no. She has appeared in “Every Sunday,” “Pigskin Parade,” “Thoroughbreds Don’t Cry” and “Broadway Melody of 1938.” She makes her latest appearance in “Everybody Sing,” playing Sunday and Monday at the Lathrop Theatre. She is also a tap dancer of note, having taken lessons during the filming of “Broadway Melody of 1938” from Buddy Ebsen. 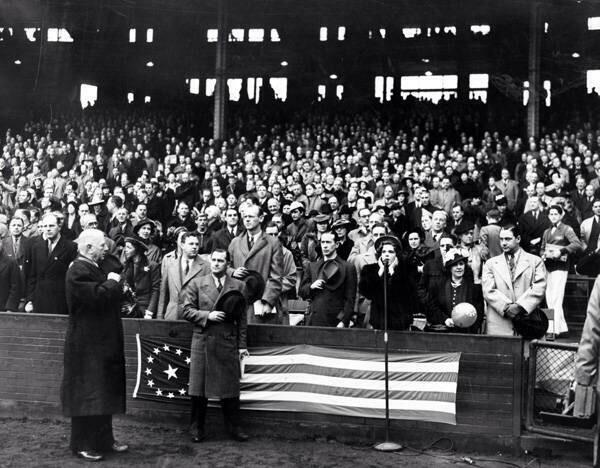 April 21, 1939: Judy sang the National Anthem at the opening game of the Cleveland Indians in Cleveland, Ohio. 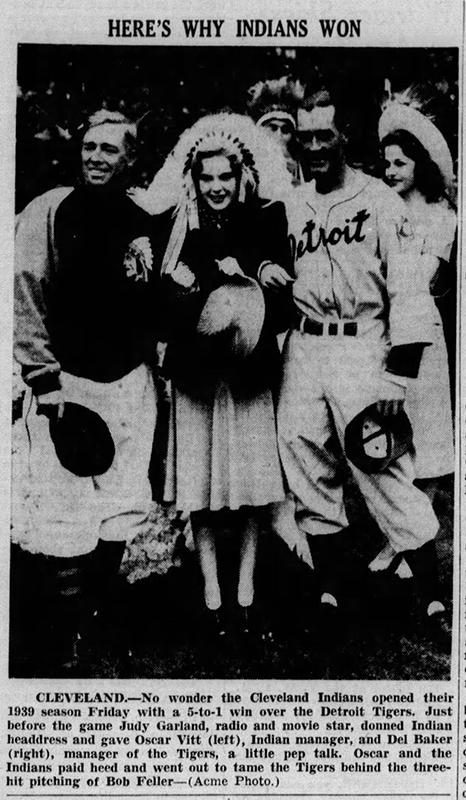 The team played the Detroit Tigers and won the game, 5-1. Judy was on a personal appearance tour that included her return to New York’s Loew’s State Theater. 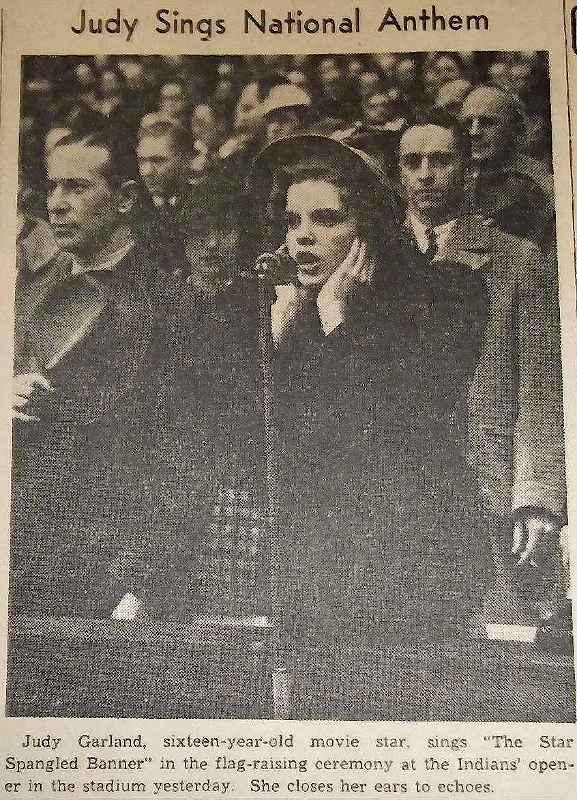 The caption for the third photo: Young film star Judy Garland attends the Indians home opener at Cleveland Municipal Stadium, April 21, 1939. A month earlier, Garland had just finished work on The Wizard of Oz, the picture which would launch her career. 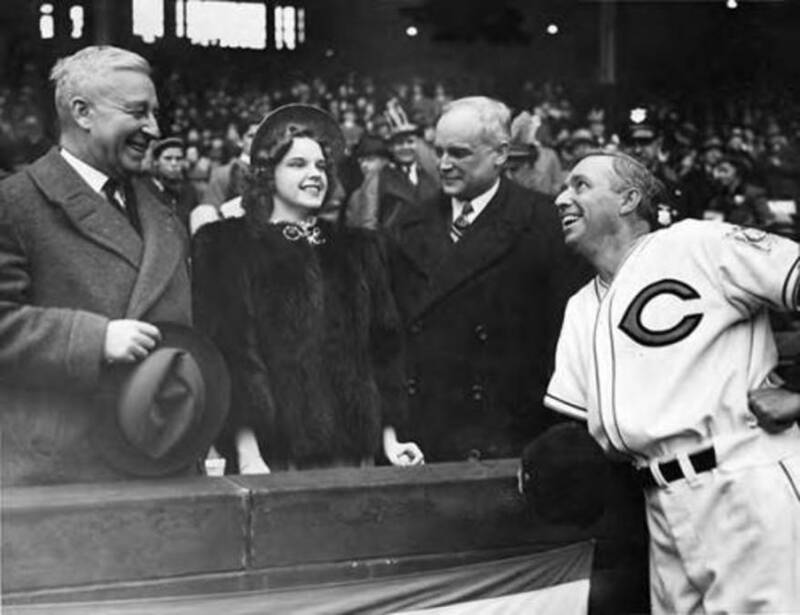 From left to right: Indians owner Alva Bradley, Garland, Cleveland mayor Harold Burton, and Indians manager Oscar Vitt. 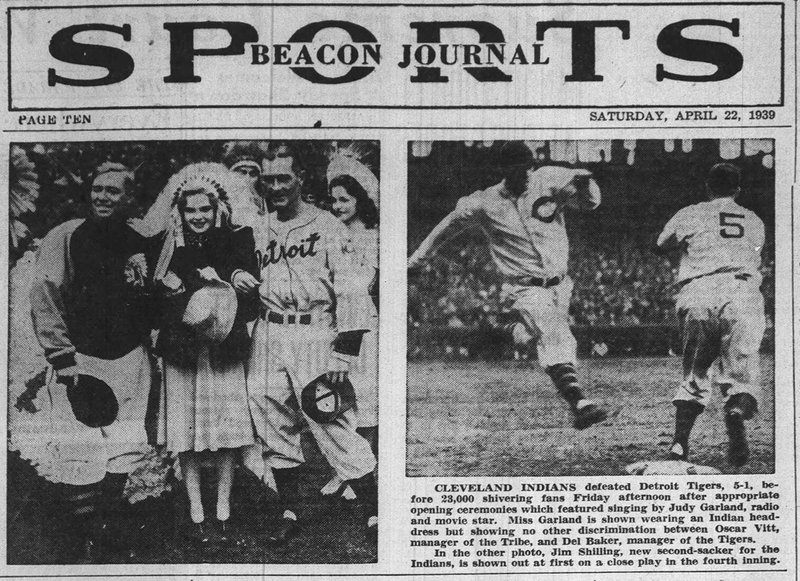 The Indians beat the Detroit Tigers, 5-1, thanks to a three-hit complete game from Indians pitcher Robert Feller, who struck out ten batters. 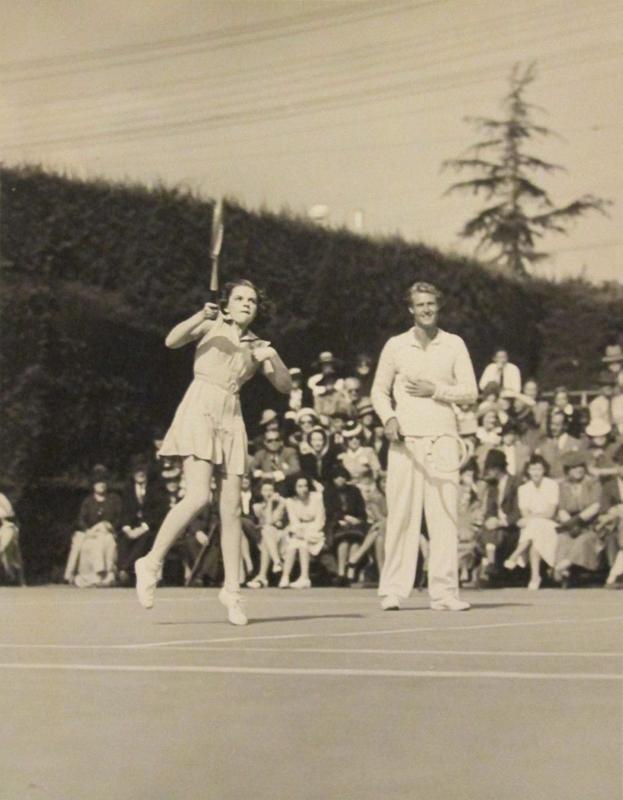 April 21, 1940: Judy took part in a celebrity tennis match with famous tennis players including Bill Tilden. 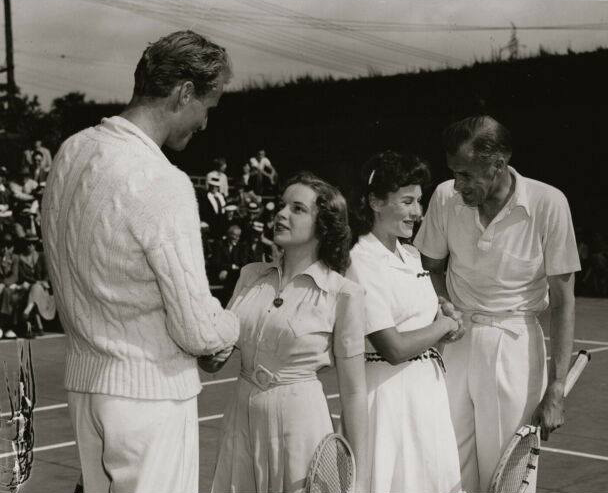 In the photos, Judy is seen with Paulette Goddard, Bill Tilden, Lester Stoeffen, and an unnamed referee. 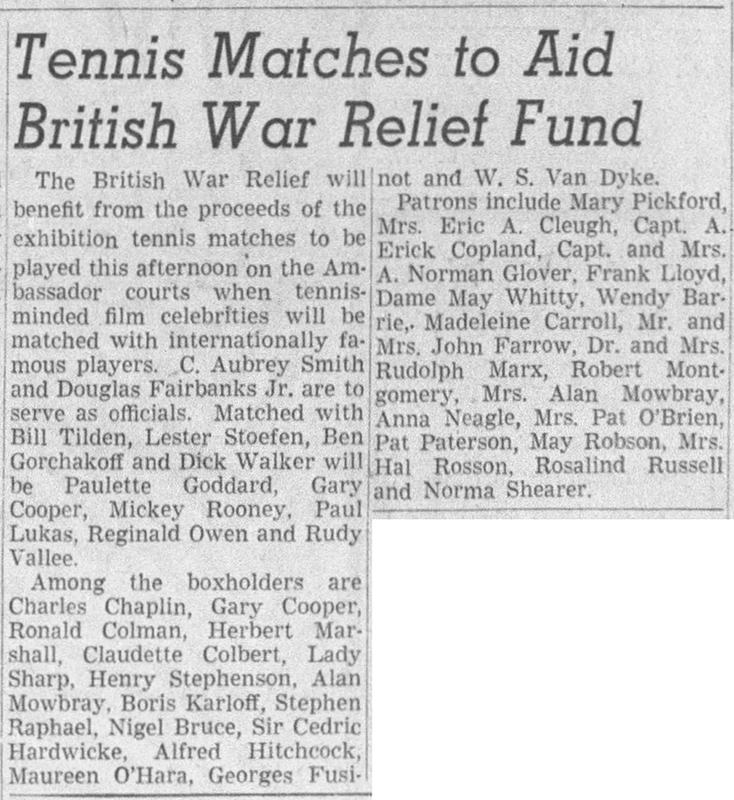 Oddly enough, the article about the event didn’t list Judy’s name as one of the stars. Perhaps she was a last minute addition. April 21, 1942: Judy resumed work on For Me And My Gal after being out sick for the previous three days. Scenes were shot on the “Interior Chicago Theatre” set. Time called: 10:00 a.m.; dismissed: 6:25 p.m.
April 21, 1943: Filming continued on Girl Crazy with more scenes shot on the “Interior Assembly Hall” set. Time called: 10:00 a.m.; dismissed: 4:30 p.m.
April 21, 1944: Judy returned to Decca Records for the second, and last, recording session for the “Meet Me In St. Louis” album. Recorded on this day, in the following order, were: “The Trolley Song”; “Skip To My Lou”; and “Meet Me In St. Louis, Louis.” The album was released on November 2, 1944 (No. DA-3360 Personality Series), and peaked at the #2 spot on the newly created “album” charts. The single of “The Trolley Song” (with “Meet Me In St. Louis, Louis” on the B-side) peaked at the #3 spot on the singles chart. 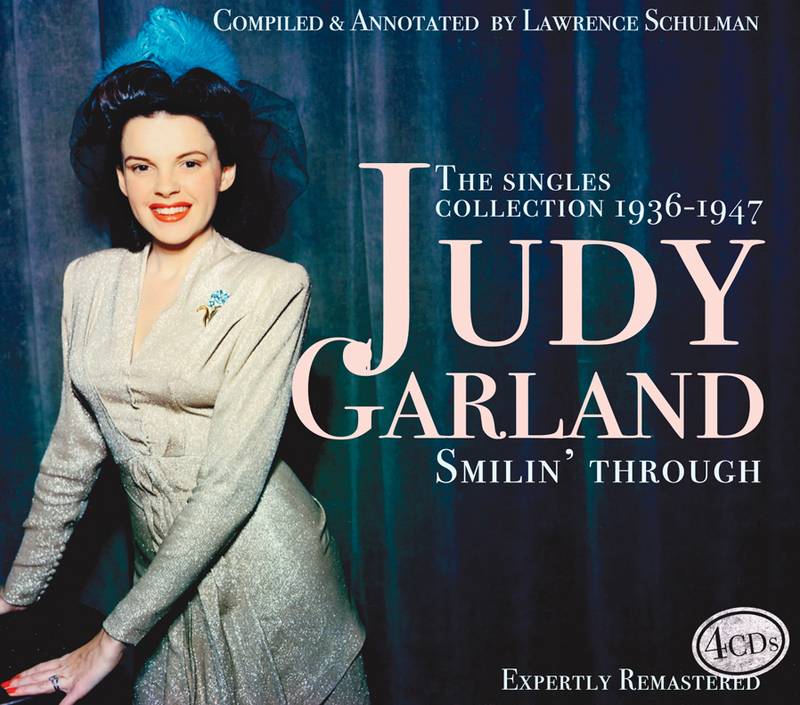 Check out The Judy Garland Online Discography’s “Meet Me In St. Louis” (Decca version) here. April 21, 1950: Judy and husband Vincente Minnelli celebrate Easter Sunday at the Beverly Hills Hotel. 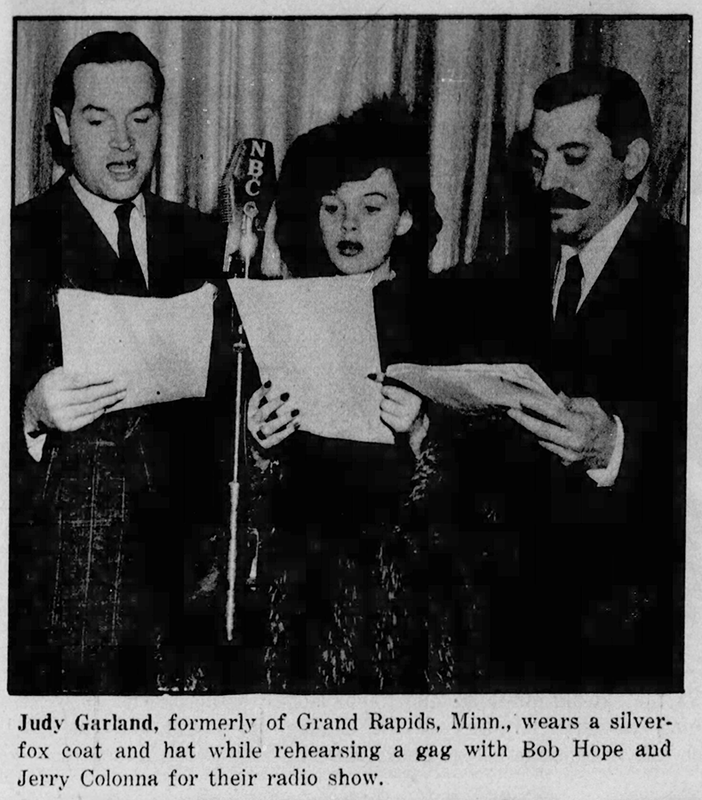 April 21, 1952: Judy’s opening night at the Los Angeles Philharmonic was the stellar event of the year. Anyone who was anyone in Hollywood and Los Angeles was there as you can see from these wonderful photos. 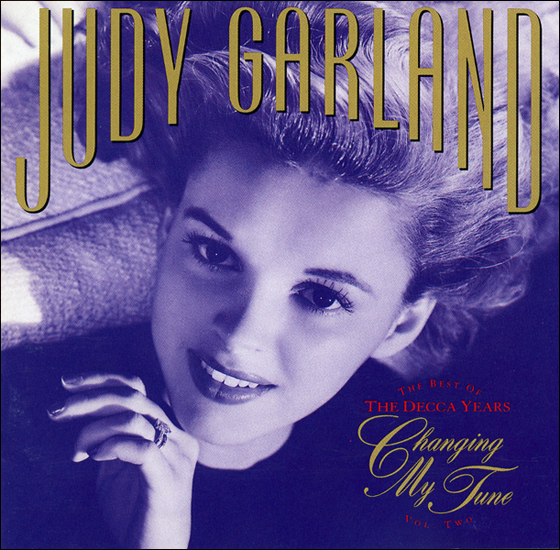 Judy played for four weeks grossing $220,000. Her salary was $25,000 per week; she had been paid $15,000 per week for her recent blockbuster run at The Palace Theater in New York. This Philharmonic opening night was her return to her “home base” of Hollywood where she hadn’t performed, aside from a few radio appearances, since leaving MGM a year and a half prior. This engagement solidified her comeback. Two slideshows: One that features photos prior to the concert showing Judy getting ready and the stars arriving; program page provided by Bobby Waters. The second features photos and clippings that were taken at the post-show party at Romanoff’s where Judy and her success were celebrated by everyone. April 21, 1964: Judy wrote a check from her Kingsrow Enterprises account checkbook, #694, to Mattie U. Oliver (household staff) for $96.37. Photo: Judy in the summer of 1964.